Live and recorded one-hour, interactive sessions are available every week, exploring ultimate topics related to Performance Management! Skillful trainers, dedicated to sharing knowledge and offering top solutions based on advanced research, are now answering the needs of worldwide professionals! Missed a webinar? Check out the archive of over 80 Recorded Webinars. 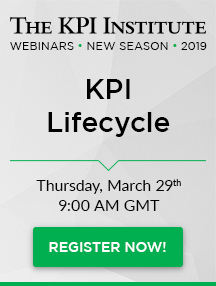 Webinars are free for The KPI Institute members. Become a TKI Member today!